Amazon BSR is a very important metric for Amazon Sellers and their products. Understand the Amazon Best Seller Rank to make better product choices and sell profitably. What is the Amazon Best Seller Rank? Amazon Best Sellers Rank or BSR is a rank given to Amazon products based on the product’s orders compared to other products in the same category within a given amount of time. How is the Amazon BSR calculated? The Amazon Best Seller rank is calculated based on the sales of a product and undergoes hourly updations. The rank assignment also considers the current sales of the product and the sales history too. A product with a rank of #1 means it has recently sold more than any other product in that category, on that store. It sells better than all the other products in that particular category,and therefore gets a higher ranking than the other products. 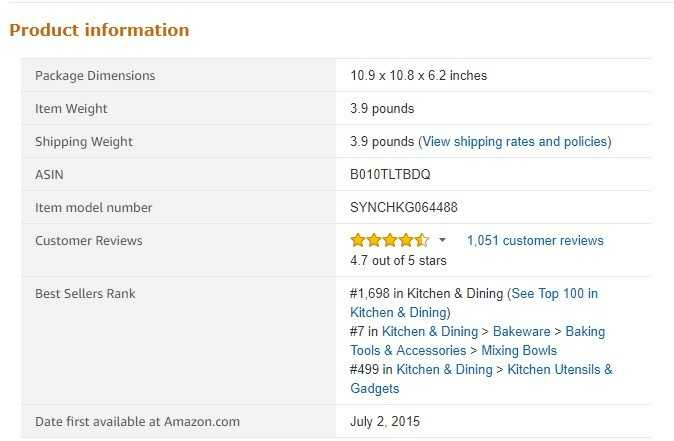 The Amazon BSR calculation is not based on the product reviews or rating. It is solely based on the sales rate. Also the sales rank of a product differs in different Amazon marketplaces. Eg.A product that has a BSR of 2342 on Amazon.com, may have a sales rank of 123 in Amazon.co.uk! The BSR is not a good estimator for sales. According to Amazon, the Best Sellers list is a good indicator of how well a product is selling overall, it doesn't always indicate how well an item is selling among other similar items of the best sellers on Amazon. Considering the fact that BSR values change hourly and are very fluctuating, it is not the most optimal factor for predicting sales. But it is the best you can consider in comparison to inventory levels, number of reviews, fulfillment methods etc to predict sales. For finding the top sellers on Amazon which you could sell profitably, check SellerApp. SellerApp’s Amazon Product Research Tool gives you a curated list of products that could become Amazon best-sellers. You can find your next Amazon product from various categories like BSR movers, trending products, and even most wish-listed products! Sign upnow for a free 7 day trial.